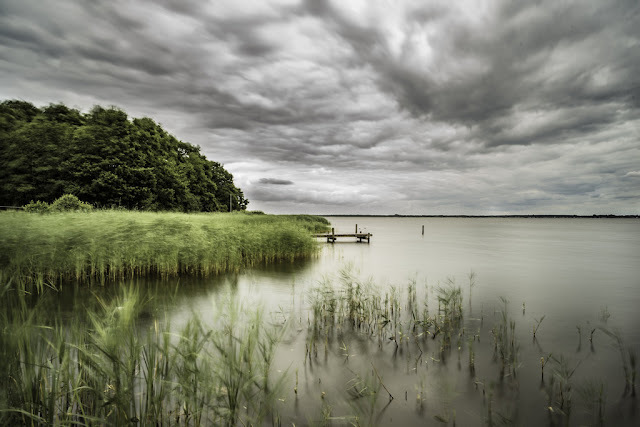 The Steinhuder Meer or Lake Steinhude is a lake in Lower Saxony, Germany. 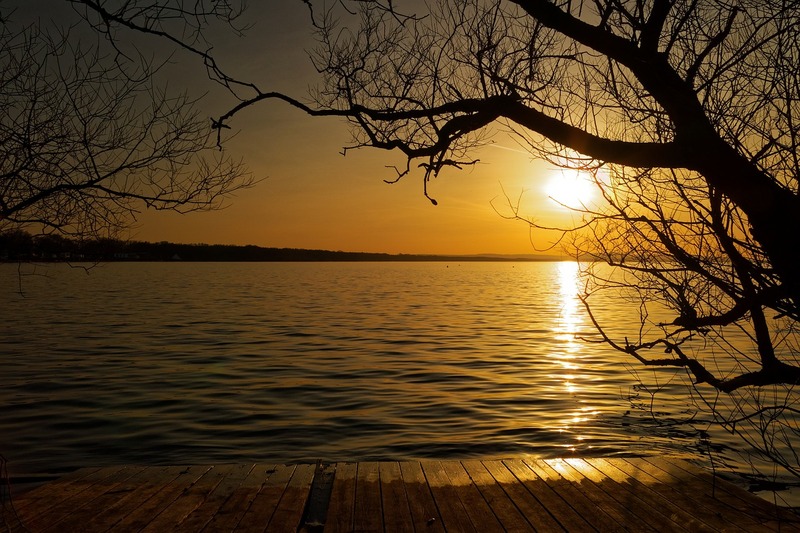 The Lake is located 30 KM northwest of Hanover. It lies within a region known as the Hanoverian Moor Geest. The lake is named after the nearby village of Steinhude, has an area of about 30 square kilometers. 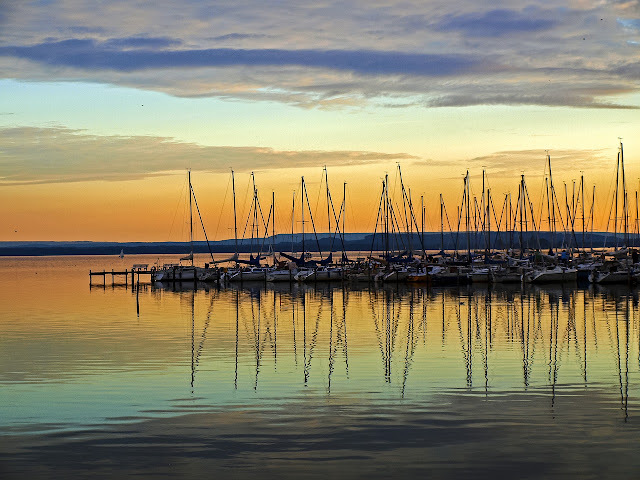 The steinhuder Meer is the largest lake of northwestern Germany. 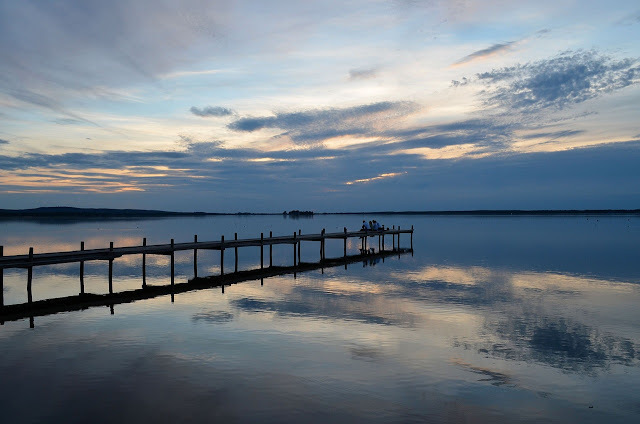 The Lake Steinhude is very shallow, with an average depth of only 4.4 ft and a maximum depth of less than 9.8 ft. 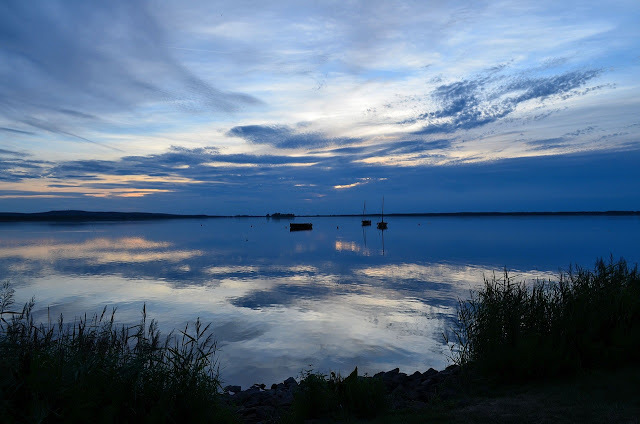 The Steinhuder Meer is part of the glacial landscape formed after the recession of the glaciers of the latest Ice Age, the Weichselian glaciation. Nature lovers can join one of the nature and landscape tours and with luck catch a glimpse of sea eagles. The environment around the lake can be best explored as a one or two-day trip around the Steinhuder Meer. The two theories explained the formation of Lake Steinhuder. The first one says that glaciers gouged out the hole and meltwater filled it. 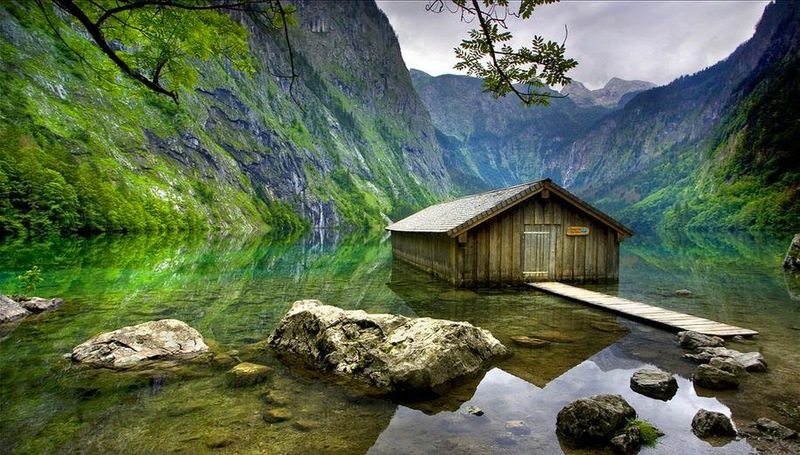 However the other theory says that an ice storm formed the hole and as the groundwater rose, the lake was formed. 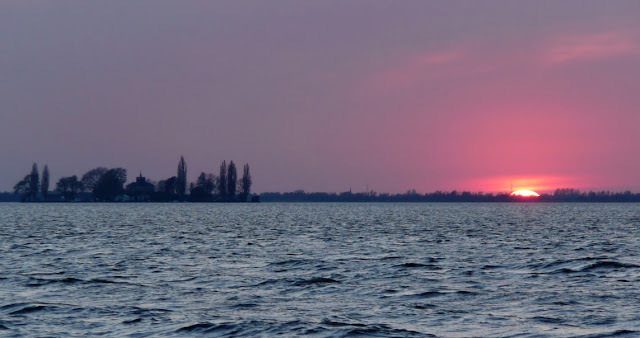 The most important is 18th century fortification small artificial island “The Wilhelmstein”. The Wilhelmstein Island was built around 1761 to 1765 then used as a military fortress. Afterwards it was used as military school. 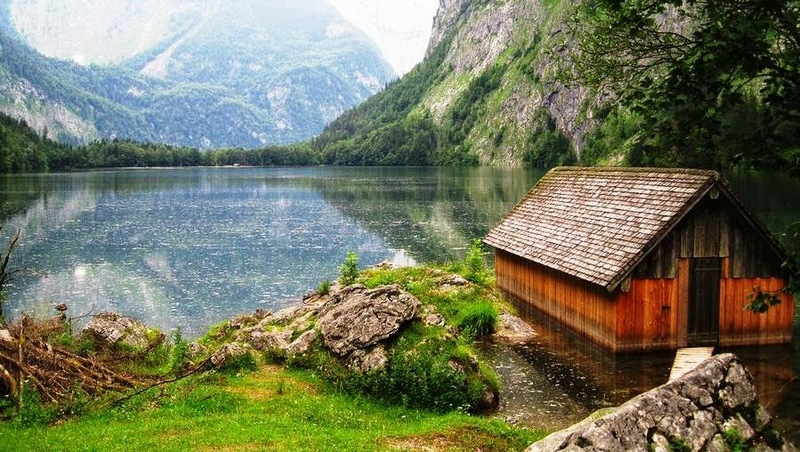 It is located in the middle of lake. 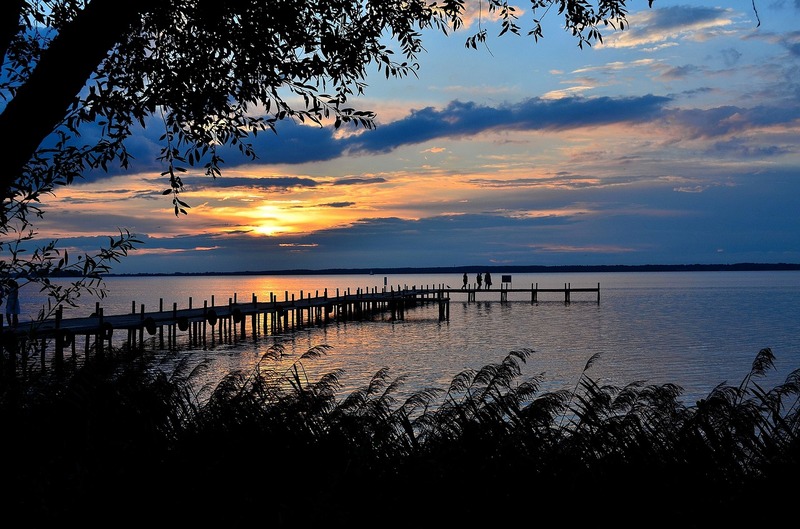 The The Steinhuder Meer is heart of nature reserve, and also used as recreational area. 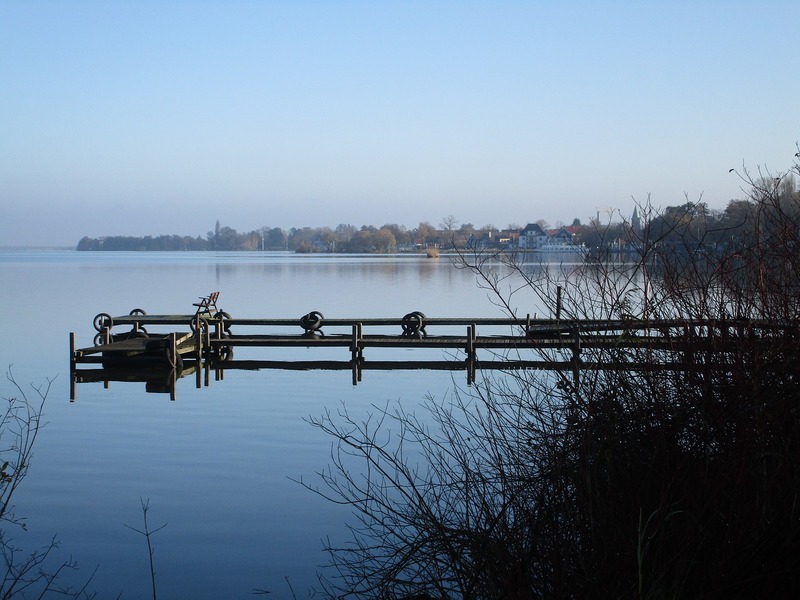 The other Badeinsel Steinhude was built in 1975 using sand retrieved from the lake. It has a sandy beach which is popular during summer. 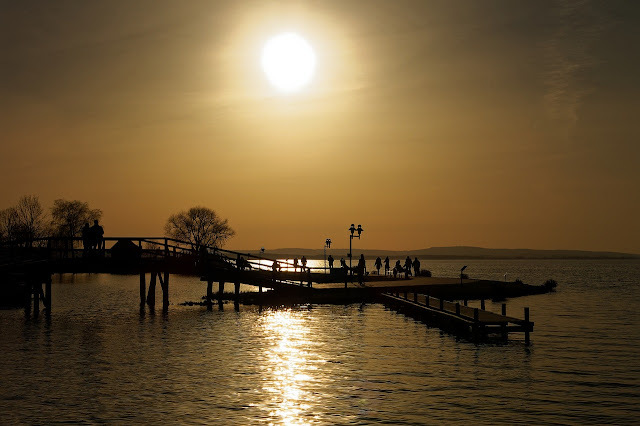 Access to this island is via 80m pedestrian bridge from Steinhude. The lake offers the opportunity for sailing and surfing for water enthusiasts. This is most enchanting place on earth, as there is no painter in the world as talented and skilled as nature, the magnificent burst of colors in these underground caves is maybe one of nature’s best pieces. The Saalfeld Fairy Grottoes are caverns or grottoes of a former mine near Saalfeld, in the German state of Thuringia. 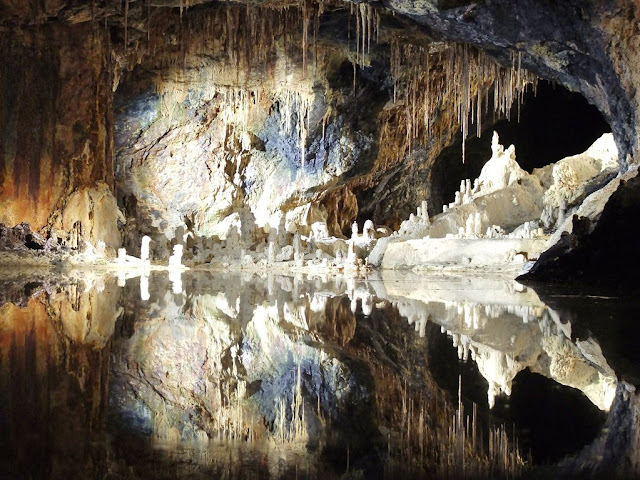 The Saalfeld Fairy Grottoes are famous for their myriad colorful mineral formations formed quite a lot of years by water dripping via soft rock. 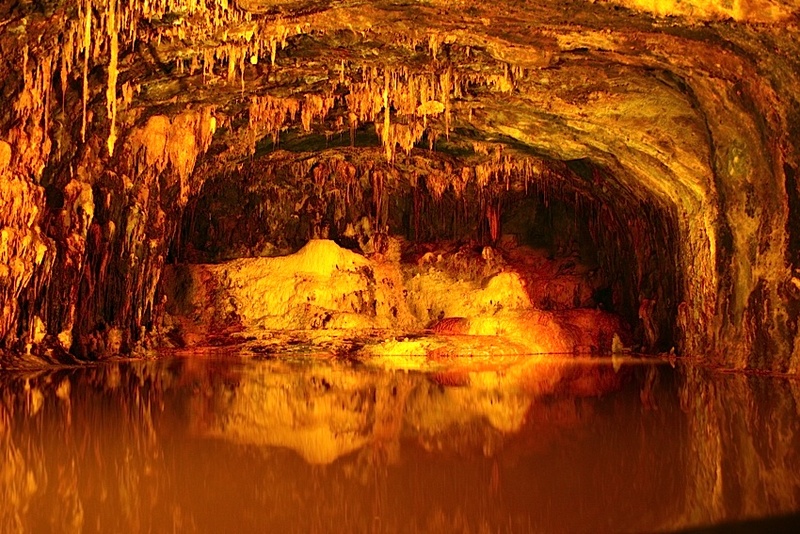 It is considered most colorful cave grottoes in the world. 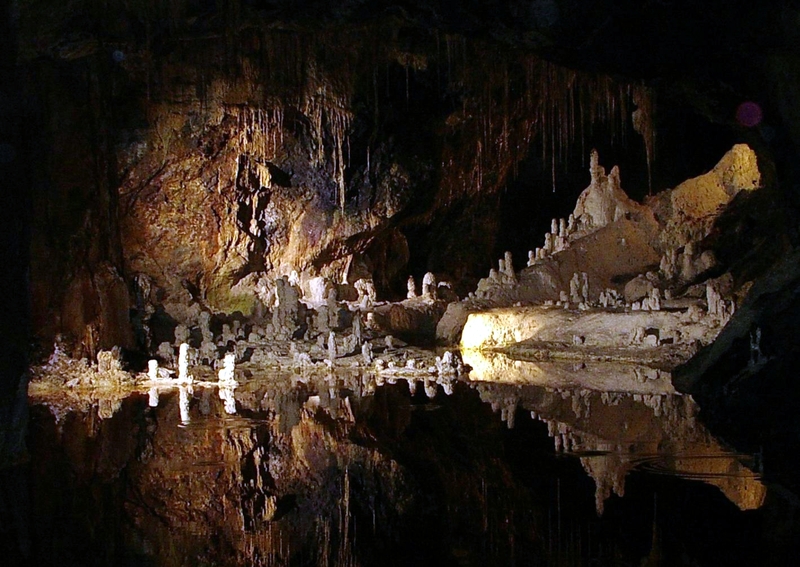 This Saalfeld Fairy Grottoes draws an average of more than 160,000 visitors annually. 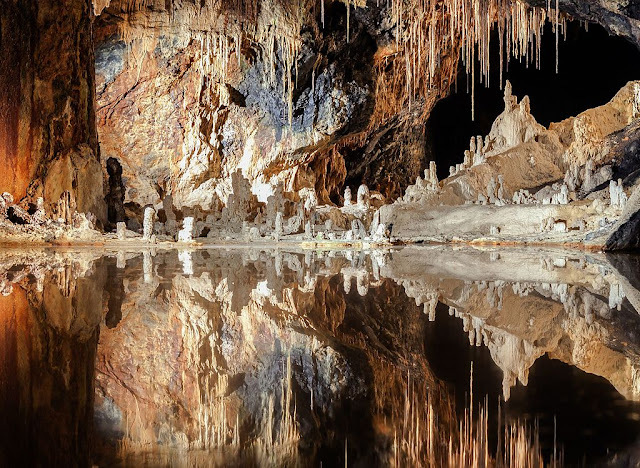 On 22 December 1913, scientists discovered the most beautiful part of the Saalfeld Fairy Grottoes, namely the Fairytale Dome stands with its awe-inspiring, sublime, illustrious in untouched purity and glory," writes Hermann Meyer, one of the discoverers. The caverns comprise of three chambers connected by galleries. 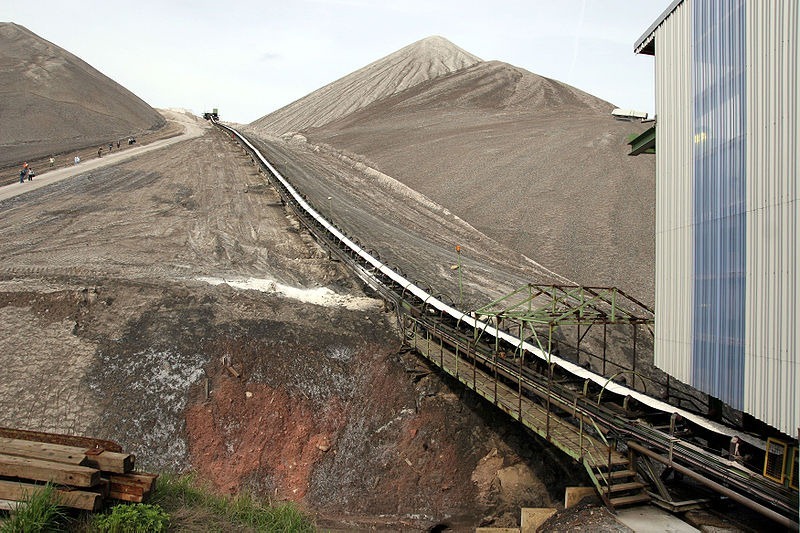 The first chamber presented the history of the alum shale mine opened for sightseeing in 1914. Historically, alum slate was used in a range of medicinal products, as a food preservative and in clarifying water. 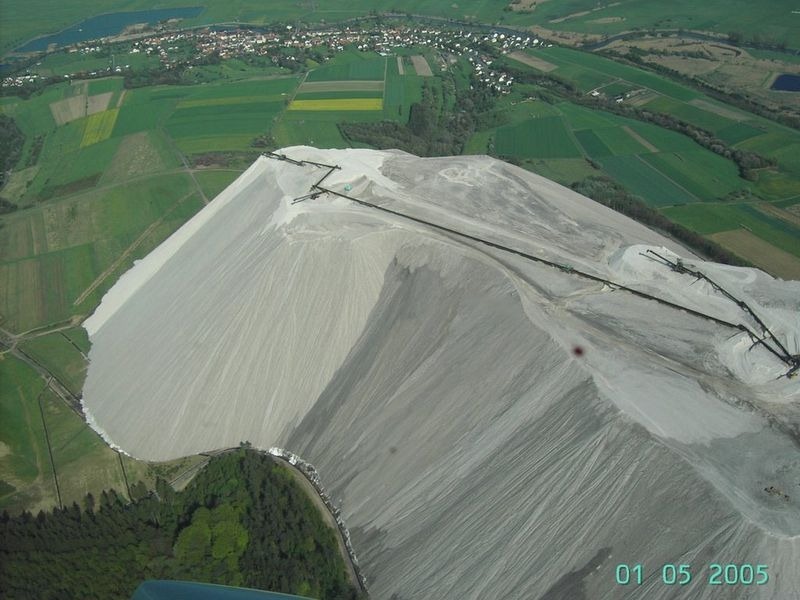 The historical background of this chamber about environmental radiation treatments formerly offered there until such treatments were found to be hazardous. 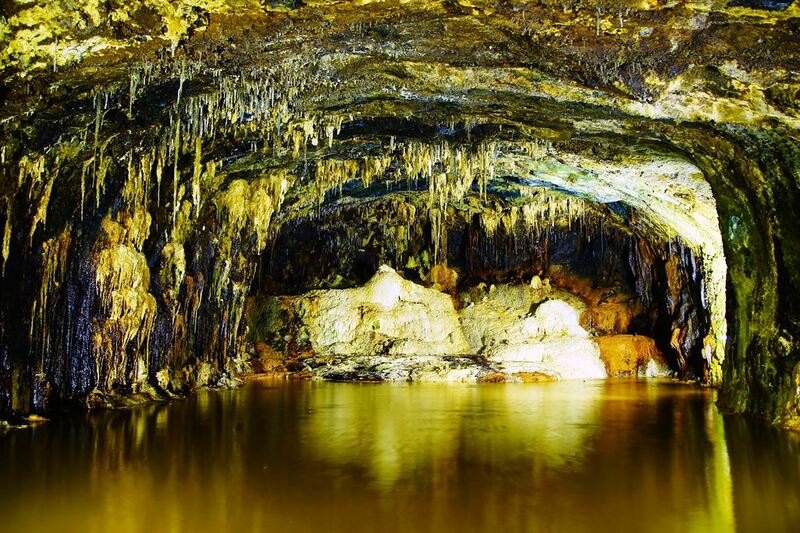 The 2nd chamber is the source of mineral laden water formed colorful stalagmites, stalactites and other shapes more than the centuries. However, 3rd chamber comprises the famed “Fairy Kingdom” featuring a variegated grouping of deposits that, illuminated by theatrical lights and reflected in a perfectly still pool of water, is thought to resemble miniature castles and other buildings. It is known as “Feengrotten” in German, are in the Guinness Book of Records as the world’s most colourful cave, the most popular tourist attractions in the Thuringia, serve as a striking reminder of medieval mining. 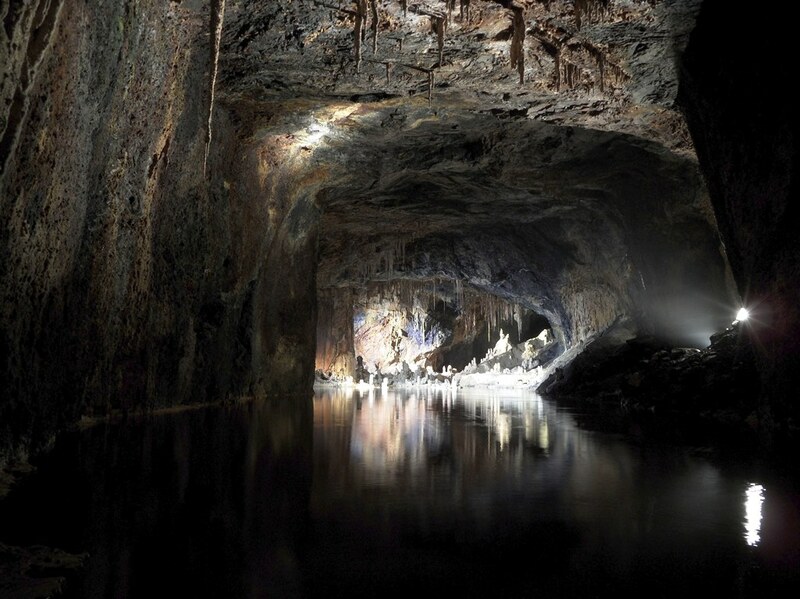 The underground tour is breathtaking, reveals fascinating insights, the minerals they contains and thelives and labour of miners. There's so much to see, including a mineral magnifier, treasures of the mountain and giant scorpions. 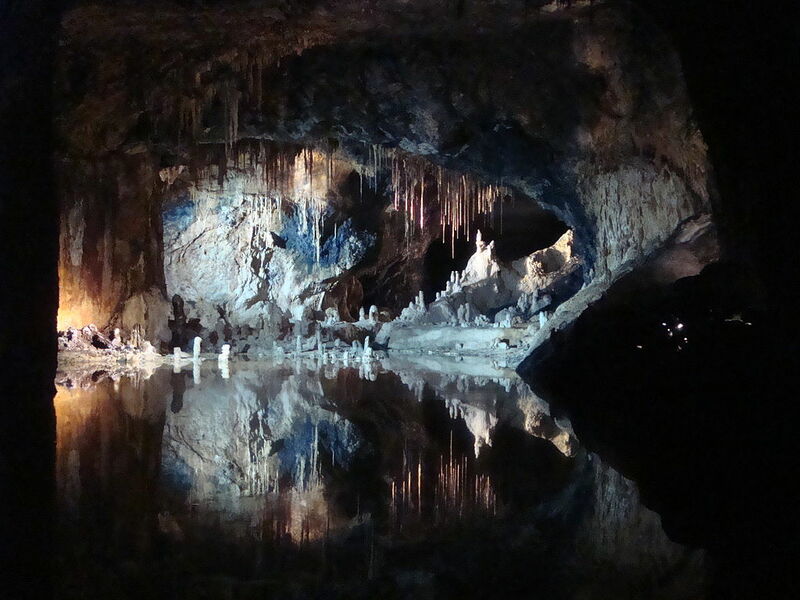 You can also grow your own stalactites and set molecules in motion, or piece together the minerals of the fairy grottoes and trace 440 million years of history in the panorama grotto cinema. This is a place of discovery for visitors young and old! The strange Goseck Circle is also known as the Goseck Henge, a Neolithic Circle Structure, perhaps one of the oldest solar observatories in the world. 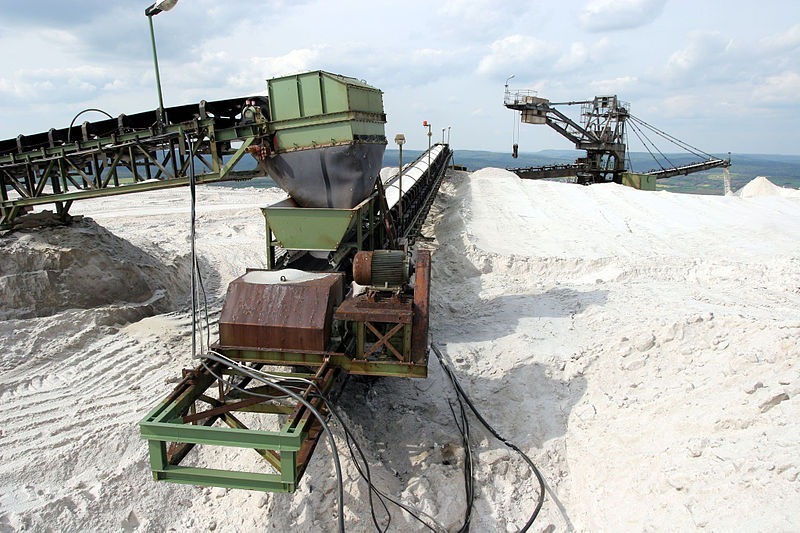 The site is located in Goseck in Burgenlandkreis district of Saxony Anhalt in Germany. The Goseck Circle is known Circular Enclosures associated with the Central European Neolithic. 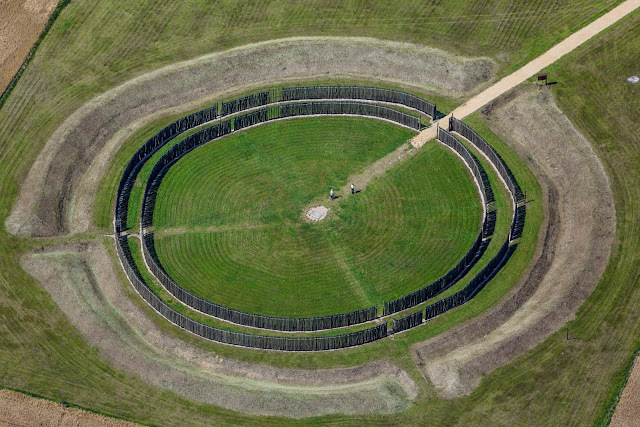 The Goseck Circle comprises a set of concentric ditches almost 75 meters across and two palisade rings containing gates in places aligned with sunrise and sunset on the solstice days. 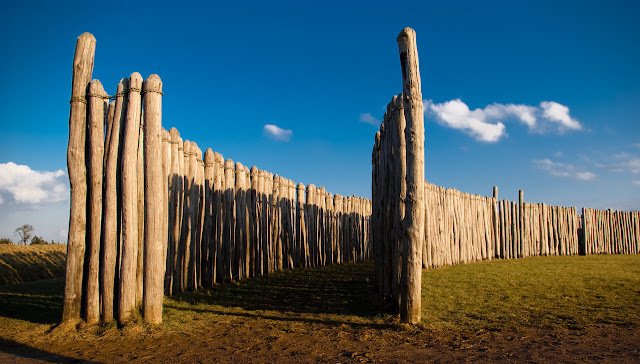 It is thought to be built dated to c. 4900 BC, and remained useless until 4600 BC. 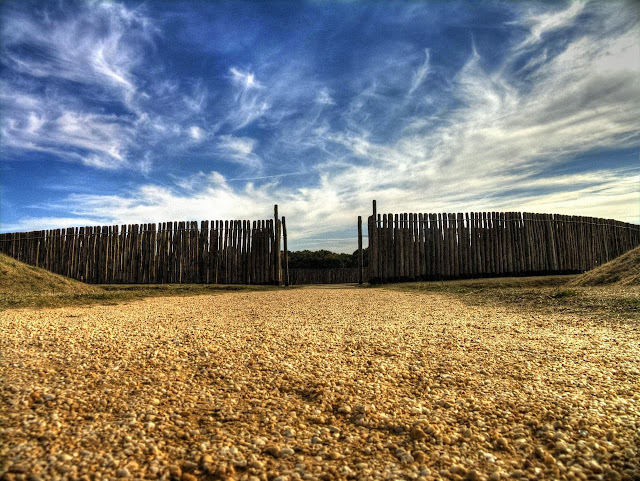 Therefore, Excavators are keen interested to know the purpose of Goseck Circle, have found the remains of ritual fires, animals human bones, headless skeleton adjacent to south eastern gate. So, many researchers believed, that place could be interpreted as traces of human sacrifice or specific burial ritual. Hence there is no sign of fire or of other destruction. 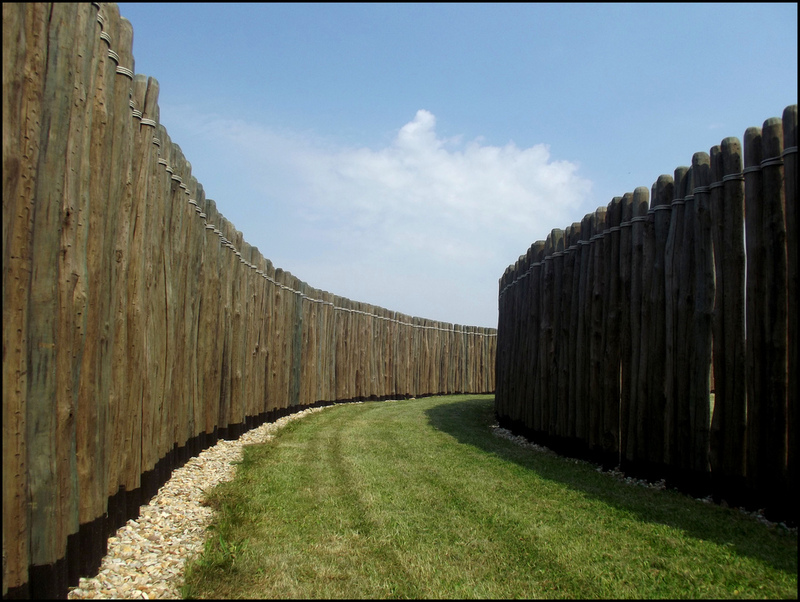 Moreover place was abandoned is not confirmed, however later on villagers built a defensive moat following the ditches of the old enclosure. 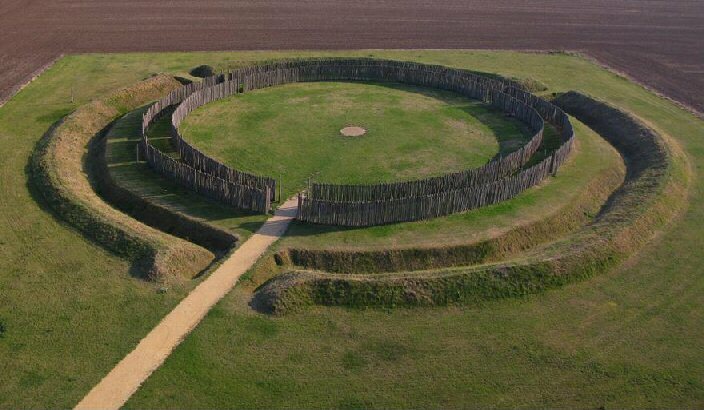 The Goseck ring is one of best preserved structures built at around the same time. 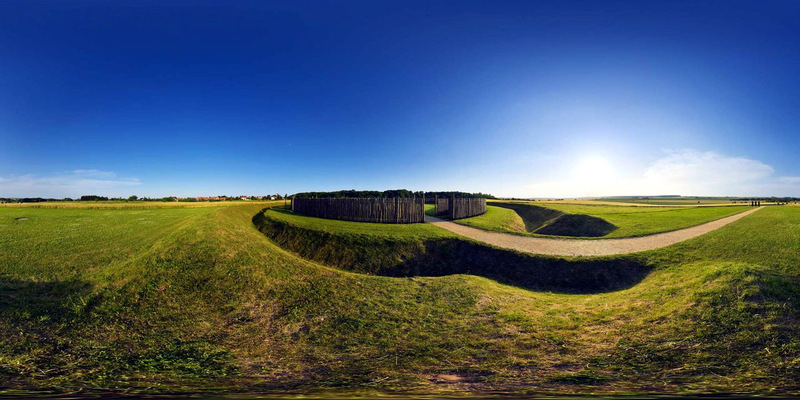 Therefore archaeologists generally agree that Goseck circle was built to observation of the course of the Sun in the course of the solar year. Thus, traces of original configuration disclose, Goseck Ring comprises of four concentric circles a mound, a ditch, and two wooden palisades. In 1991, local surveyors found the structure accidentally, by taking aerial photographs of the area, and then they’ve spotted a gargantuan circular ridge like structure underneath a wheat field. However, in 2002, a major excavation was found palisades had three gates, one facing north, one facing southwest and third one facing southeast. 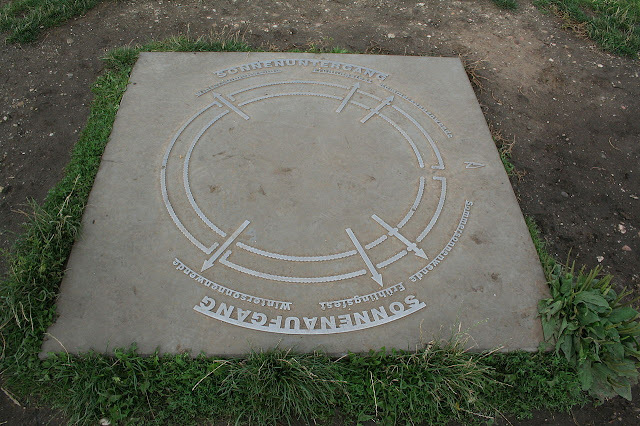 You cannot say it’s a unique circle, as there’re hundreds of similar circles have been found in Austria, Germany and Czech Republic. 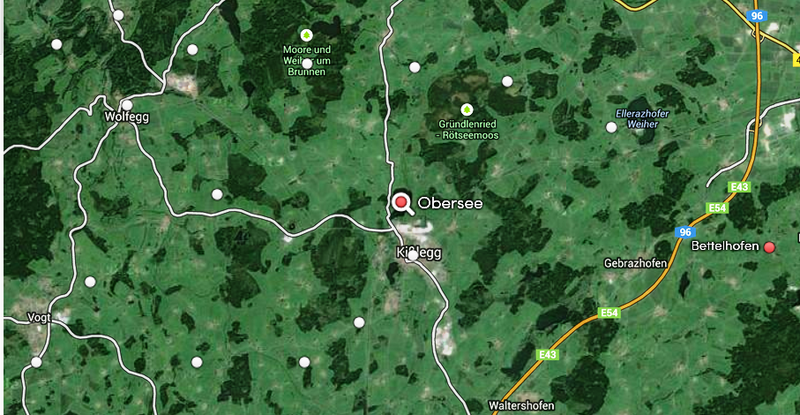 Therefore, The Goseck Ring is the largest one and well preserved one. 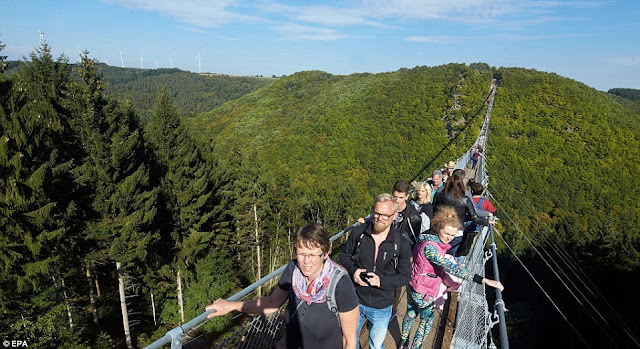 There are thousands of adventure lovers going to newly installed attraction in Western Germany to dizzying views of rope suspension bridge. 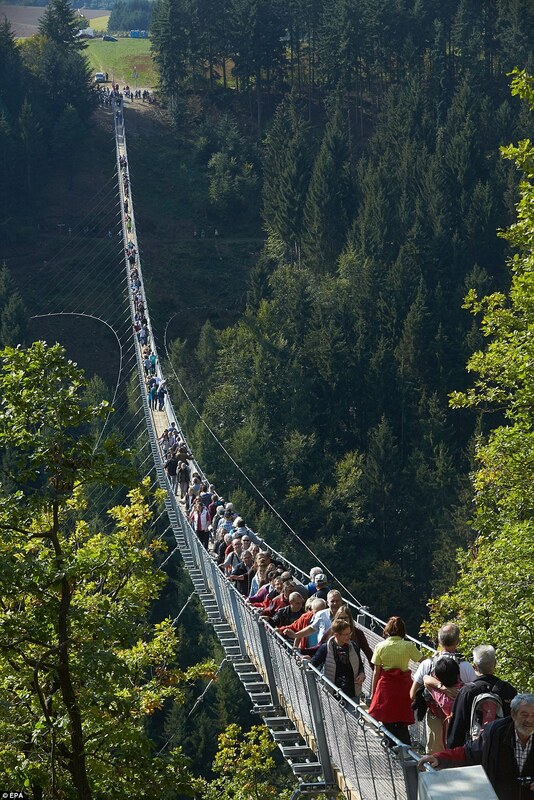 At nearly 1,200ft in length this is Germany’s longest rope suspension bridge, about 300 feet above a canyon floor. The fearless holidaymakers are feeling great attraction to this rope bridge. The daredevil’s tourist crossed the newly erected rope suspension bridge, taking in stunning scenery high above the trees at Geierley canyon. 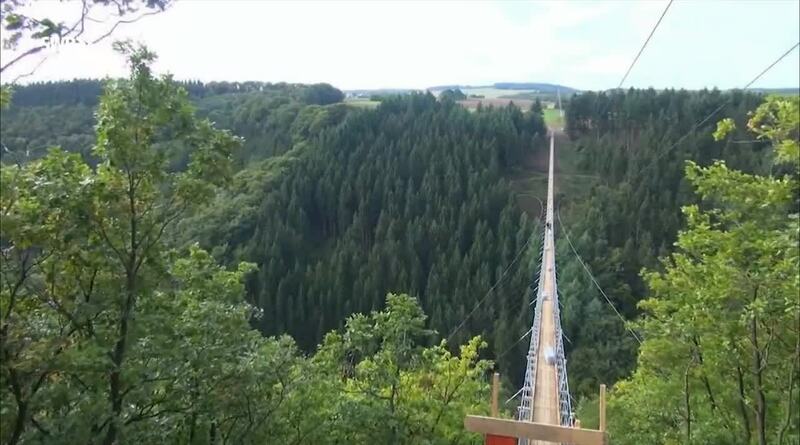 The selfie lovers can enjoy with plenty of spots available at bridge for perfect picture forest between the towns of Morsdorf and Sosberg, near Germany’s border with Luxembourg. 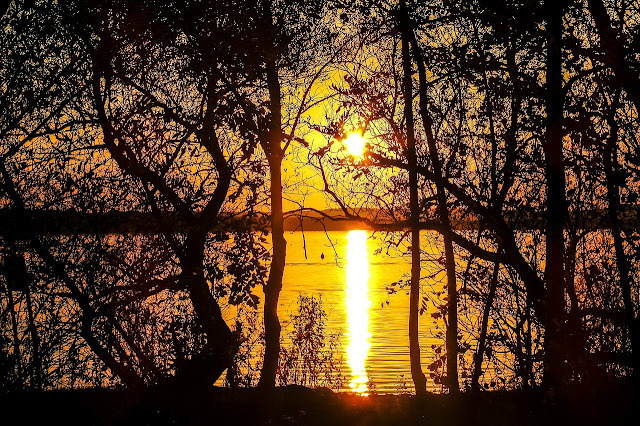 However, it was the brainchild of local officials, who were considering for different ways to temptation more tourists to the region and support local businesses. The rope bridge idea was first proposed in 2006 but plans were abandoned after they were deemed infeasible. So, after five years, the project was resuscitated and feasibility was launched this time with better results. Though the bridge is the main attraction, tourism bosses are using it to encourage four-mile hiking trails in the region. 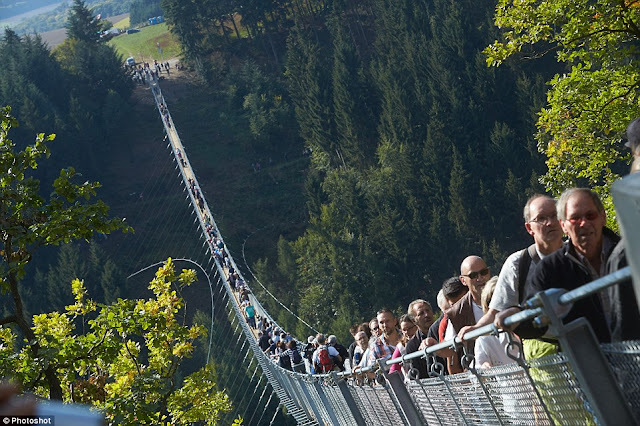 Moreover, after a contract was awarded to a Swiss building firm in Dec 2014, construction works started on 26 May and it finished in record time, with the bridge opening to thrill seekers 130 days later. It is estimated that that the bridge should draw 170,000 tourists annually, and officials are hoping 50,000 of them will be overnight guests who will stay at hotels or bed and breakfasts and help to pour an additional €2.5million into the local economy. 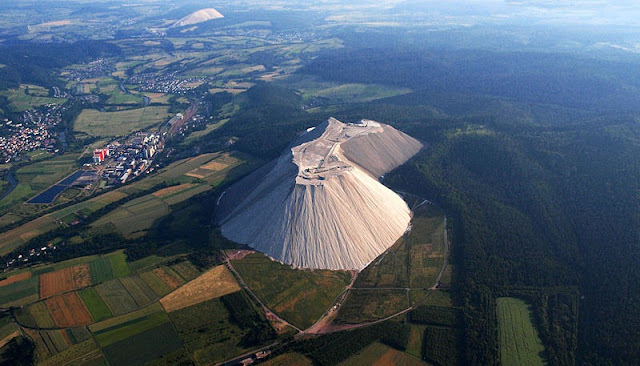 In the small town of Heringer of Eastern Hesse, Germany, a beautiful white mountain called Monte Kali, made of spoil heap landmark. 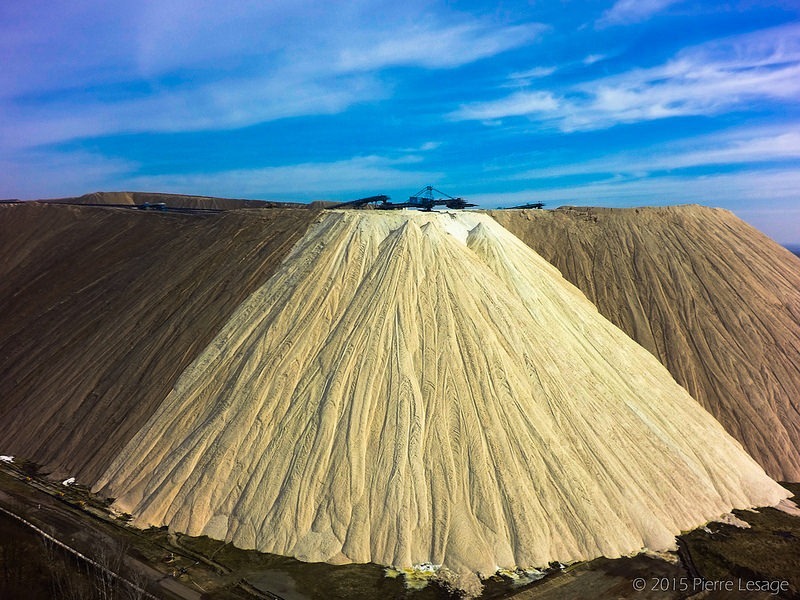 The Monte Kali containing nothing but sodium chloride or common table salt, which is a byproduct of potash mining. In this region, potash mining has been major industry from last 120 years. 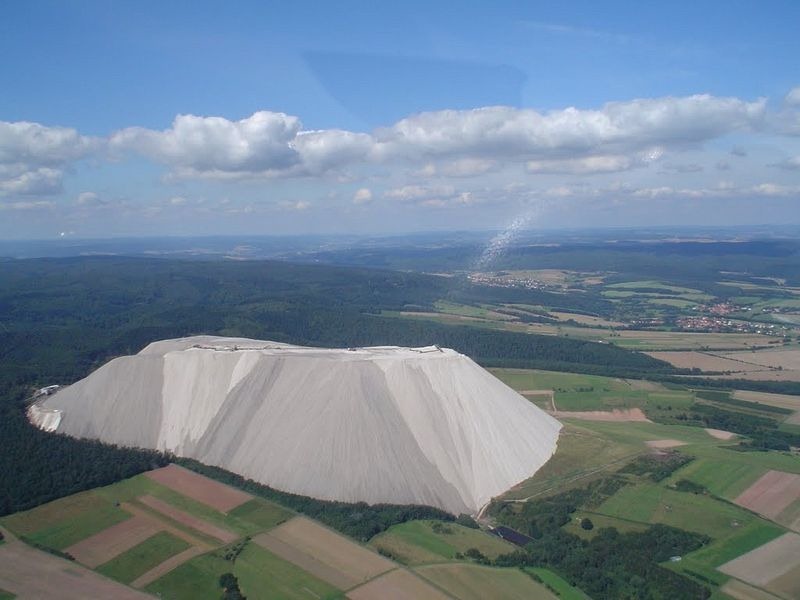 Therefore, it is begins with the opening of “Wintershall” potash works, which started mining work in 1903, and currently he’s world’s biggest potash mine with an operational area about the size of Greater Munich’s. 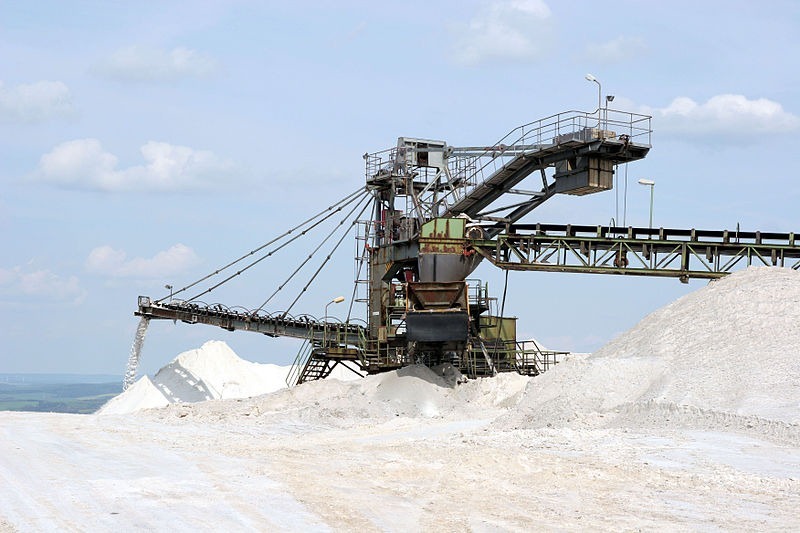 It is important to keep in mind that Potash mining produces a mixture of potash and sodium chloride, with potassium content falls between 20% and 35%. 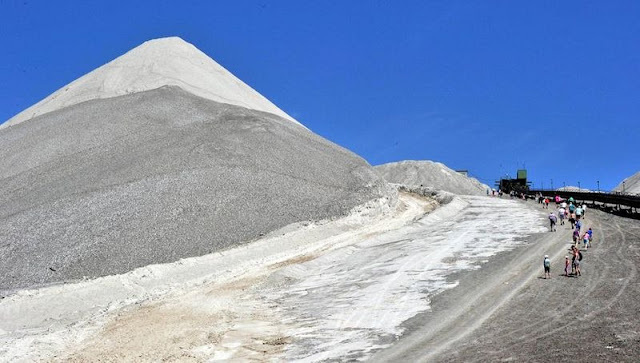 Therefore, for each ton of potash recovered, a number of tons of sodium chloride are produced, which can be dumped at many sites around the region. 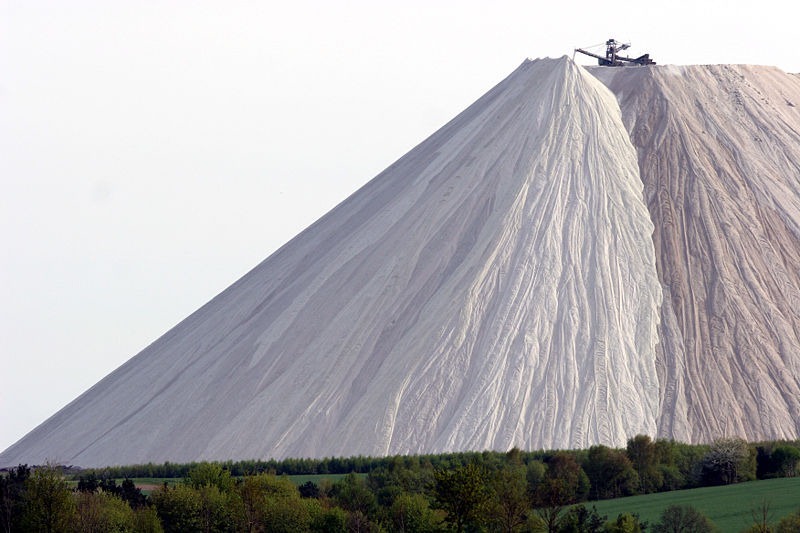 The dumps comprise up to 96% sodium chloride. However, as the time passes, Monte Kali started growing in 1973, and it’s where the K+S chemical company dumps sodium chloride. 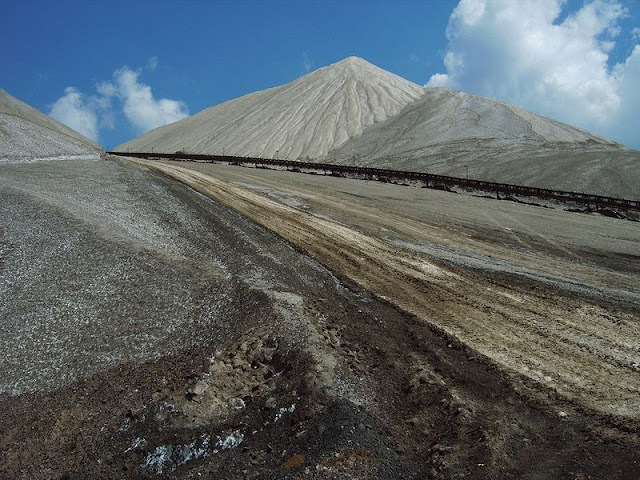 The Monte Kali heap rises more than 200 meters above the surrounding land, and covered an area of 93 hectares till January 2014. Moreover, it contains about 188 million tonnes of salt, with additional 900 tonnes being added every hour and 6.4 million tonnes a year. 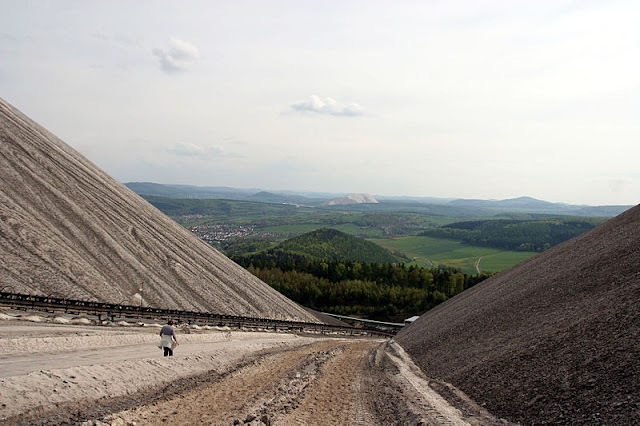 Furthermore, lying next to the border with the state of Thuringia, “Monte Kali” towers over Heringen and is a widely held attraction. Because, local folks are refer to it as “Kalimanjaro” a play of words between Kali (shorthand for Kalisalz, German for "potash") and the well-known volcanic peak Mount Kilimanjaro. 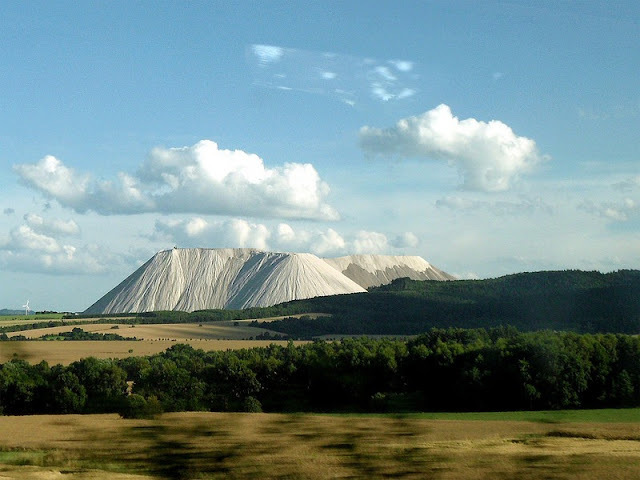 The hikers are having serious interest in climbing this artificial mountain, and it is observed that more than 10,000 visitors climb every year. 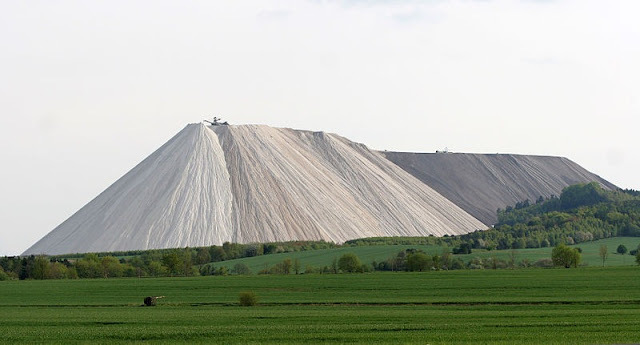 Another important point to be notice, that Monte Kali and other spoil heaps in this region are seriously environmentally destructive, because a massive amount of salt seeps into the ground polluting the soil, rivers and groundwater. Though in result surrounding soil has become eventually barren and only a few halophyte plants resistant to salt can grow there. The Werra River too has become unfriendly to freshwater organisms. 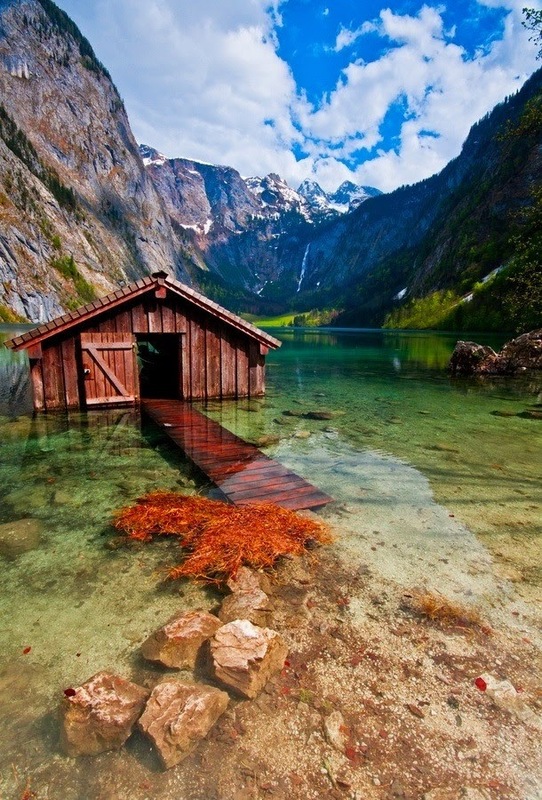 The Obersee in German means “Upper Lake”, it is located in Berchtesgaden National Park which is in southern Germany. 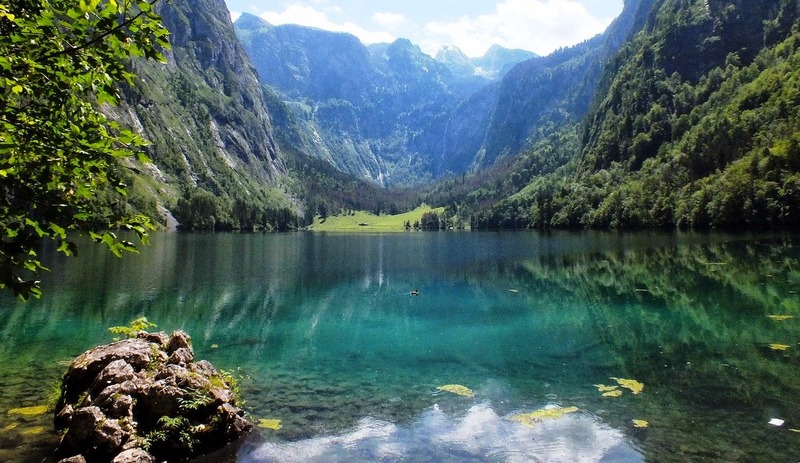 The Obersee Lake was formed by glaciers during the ice age. 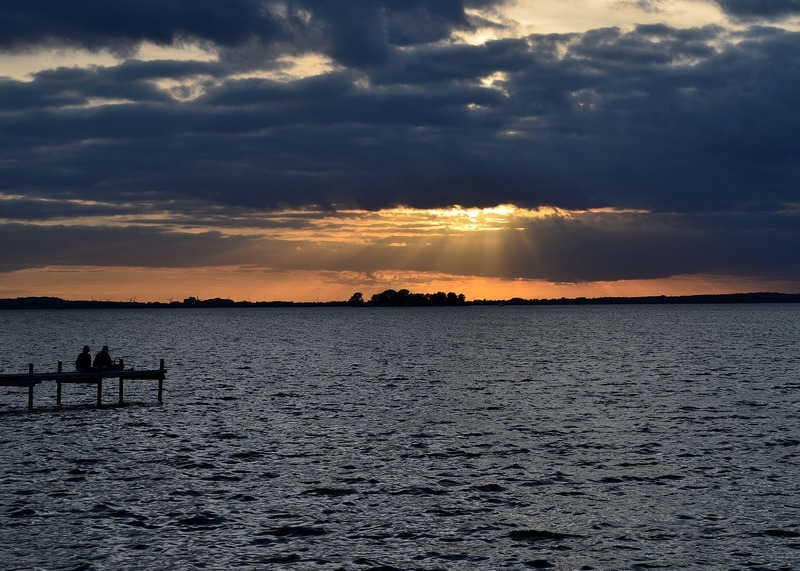 It is 7.7 kilometers long and about 1.5 kilometers to the widest point. 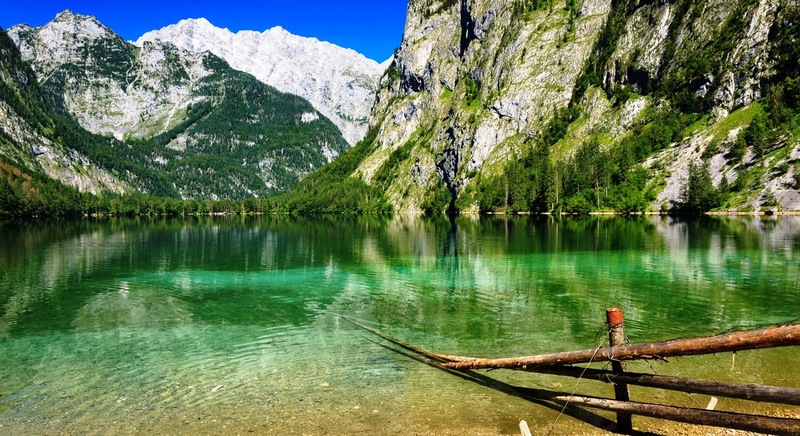 If you want to go this beautiful Lake you need to take the boat to Salet-Obersee in the Königsee town. 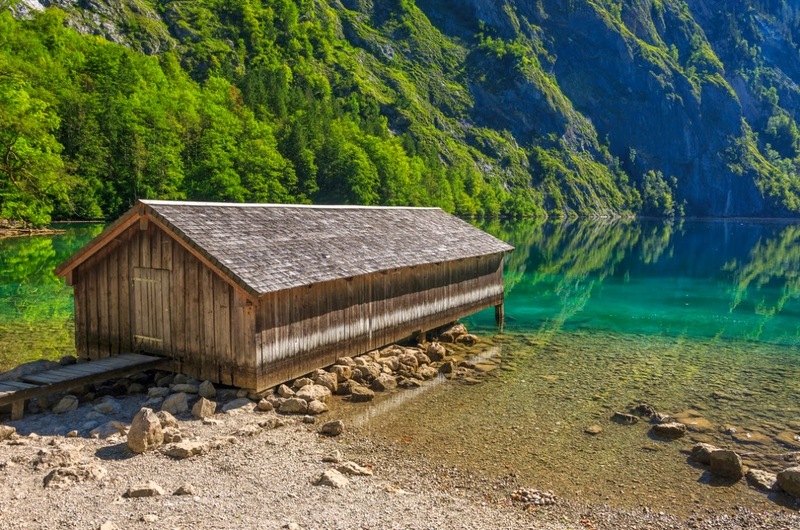 The Obersee Lake is one of the most popular and deepest lakes in Germany covering an area of 470 square kms in size with a maximum width of 14 kms. The Lake is one of three lakes in Germany lies between Bregenz and Bodman Ludwigshafen. 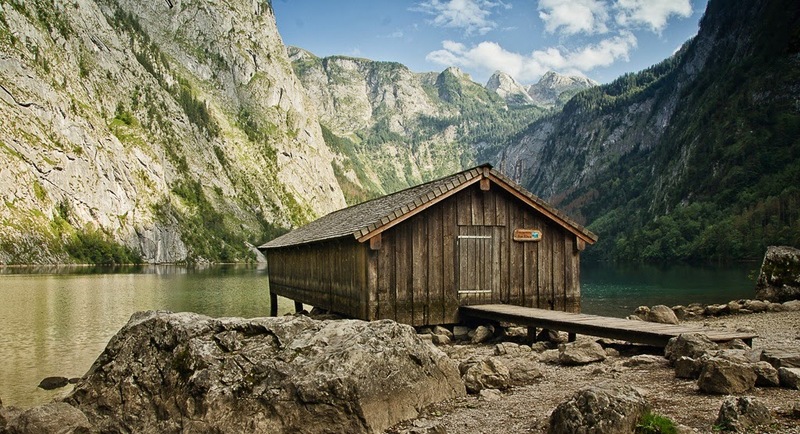 The Obersee Lake is surrounded by high cliffs on three sides which make it a scenic landscape. 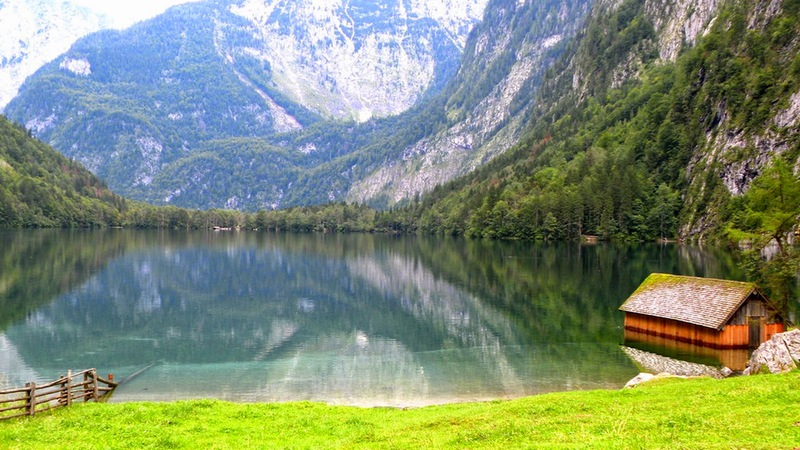 This is a small lake above the more famous Königssee Lake, which feeds on its clear waters. 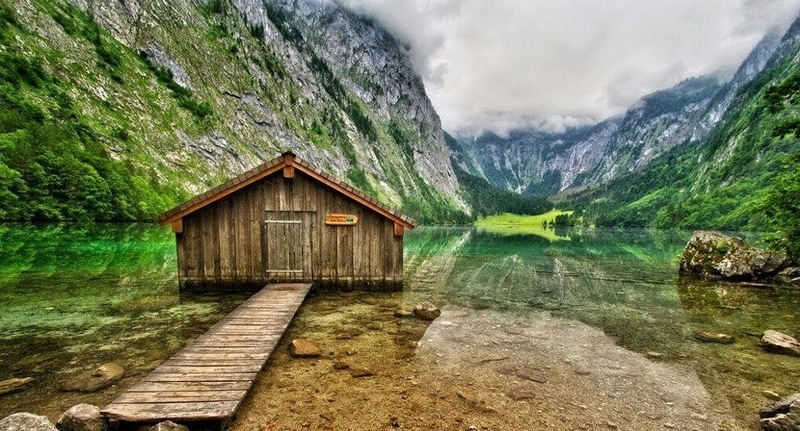 The valley is beautifully closed naturally in the cascade of Rothbacher, and in the other end of the lake, wrapped in clouds, raises the Mount Watzmann, the third highest mountain in Germany. 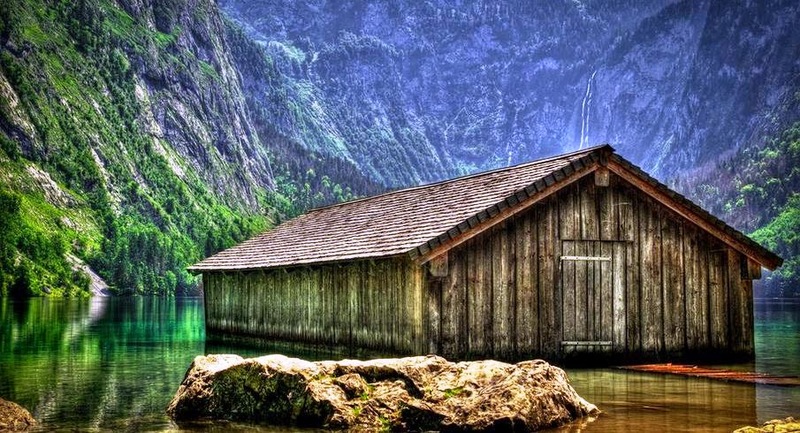 This is highly inspired place to see. 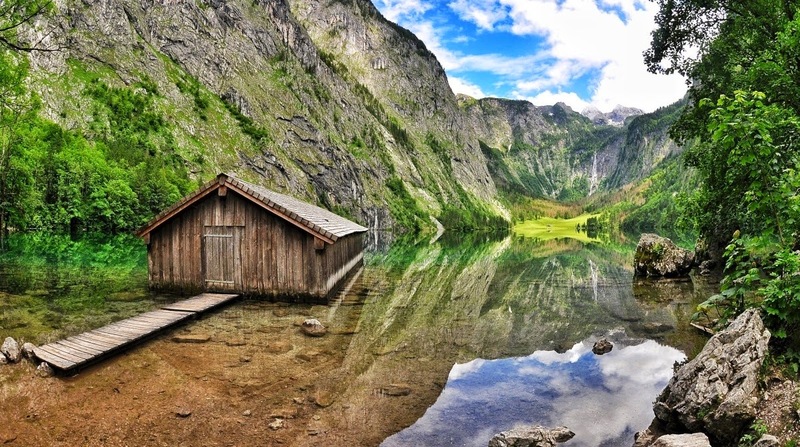 This is mirror like lake was once part of the similar lake, but the movements of the Earth over millions of year helped isolated Obersee from its larger sibling, while adding an irrefutable air of interest. 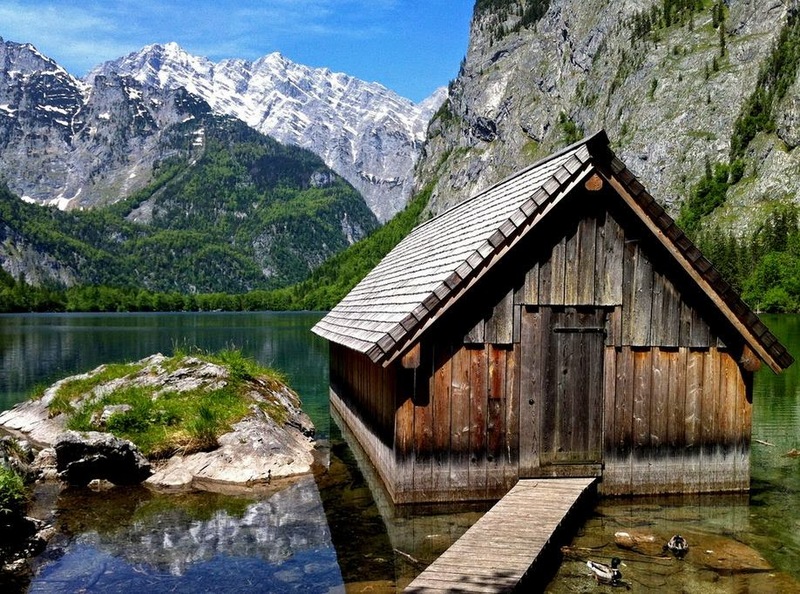 At the beginning of the lake, you can enjoy one the best views of anywhere in the Bavarian Alps: the 400-meter high Röthbach waterfalls. 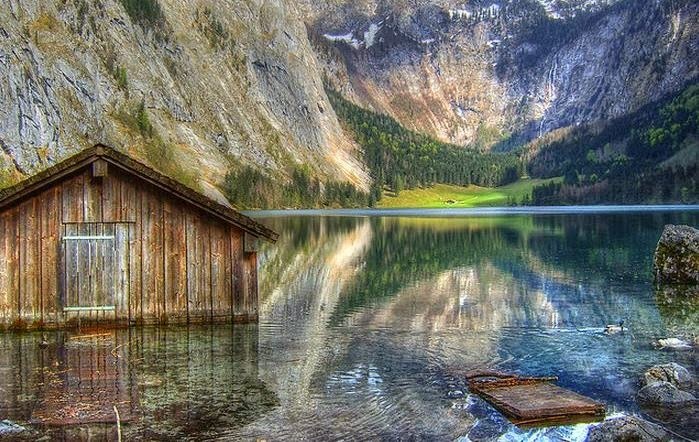 The reflection of Lake Water looks like glass from one end to the other. 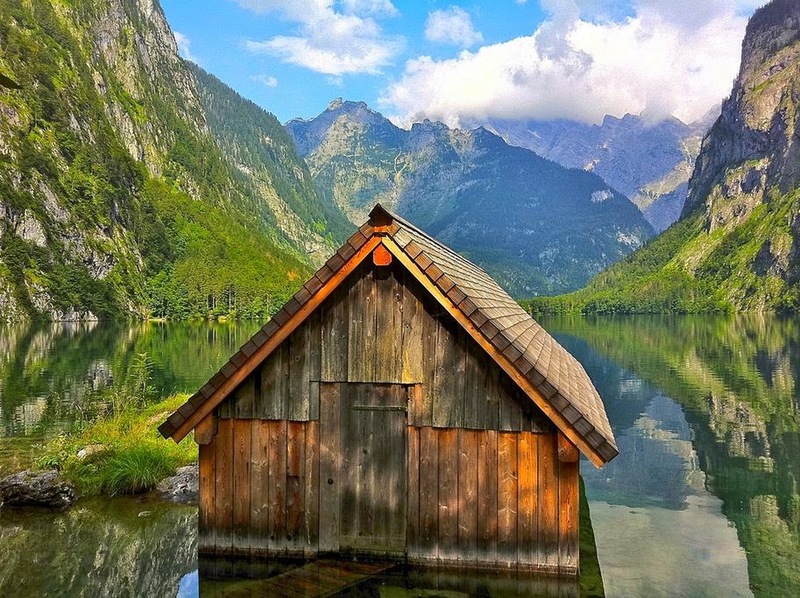 The tourists will not forget this view in his rest of life. 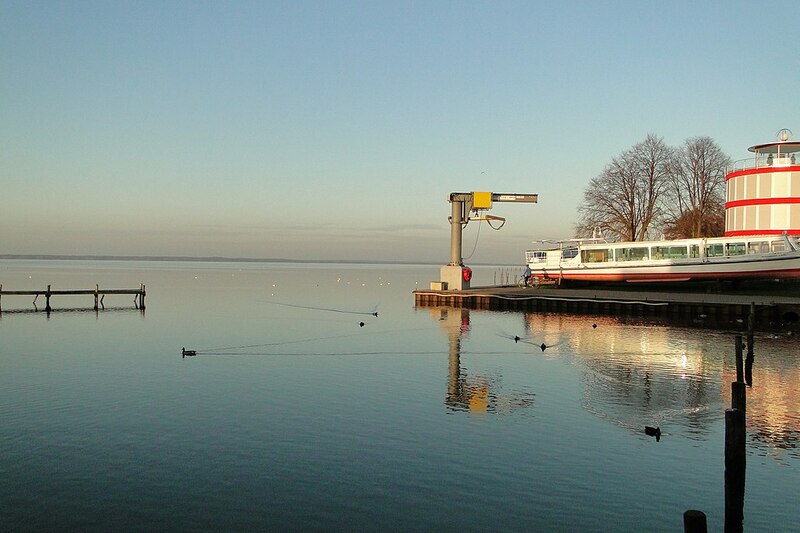 The Lake drained by the Seerhein in Constance, which flows into the lake bottom. 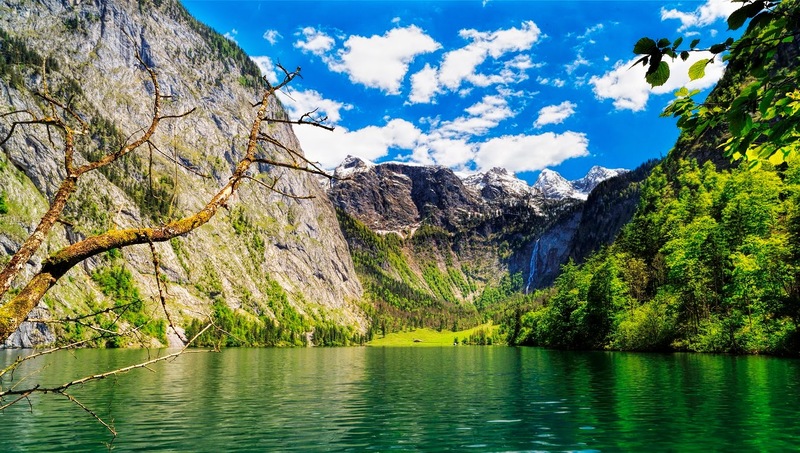 Its main tributary is the Alpine Rhine. 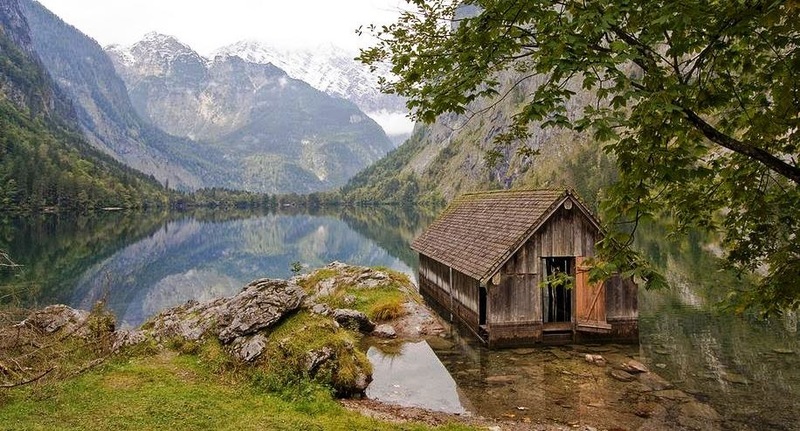 Here there are also attractive villages and old, in the village there is a hotel to stay for travelers on a tired and there is also a very lovely restaurant with delicious cuisine from the village itself. 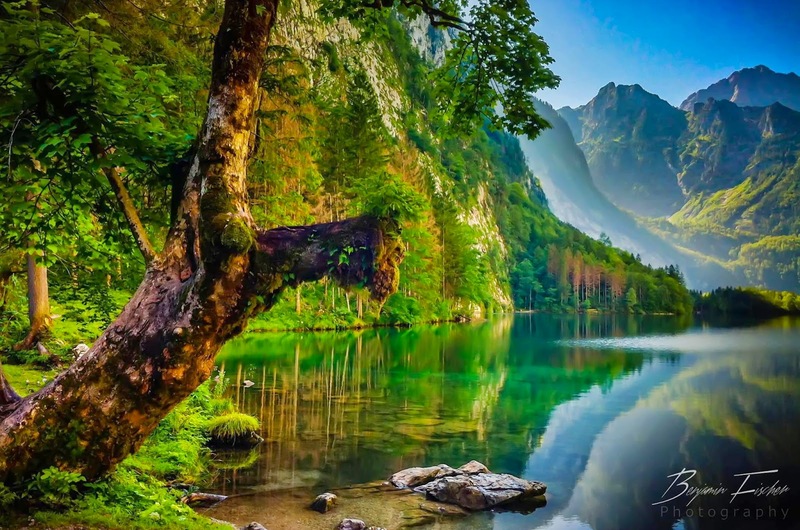 The things that struck most visitors is about the lake were the contrast in colors of the tree leaves against the turquoise blue water, with the reflection of the mountains also being cast on the water at the same time. 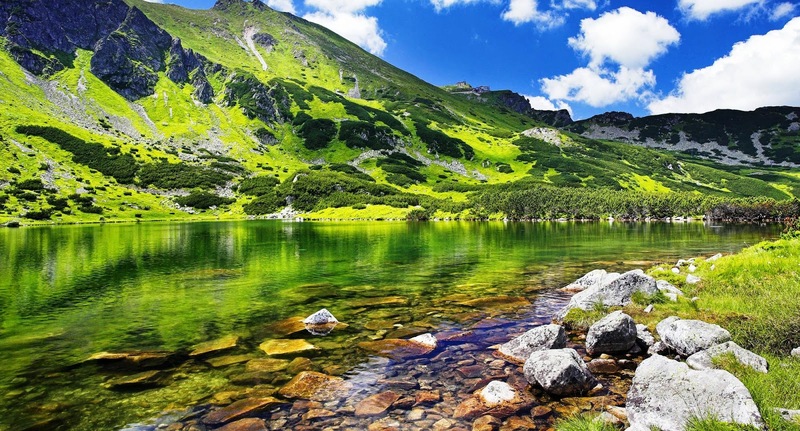 Beautiful and pristine! 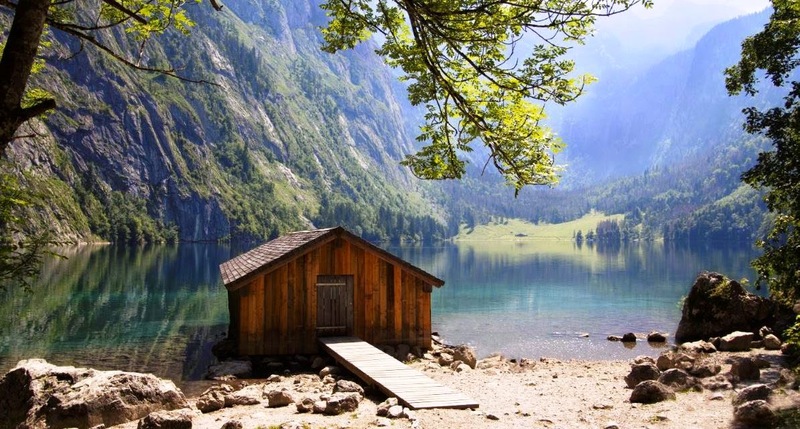 Enjoy the picturesque place in Germany.